How? Register for free tickets asap here. BBQ & Full Menu Served all day. Kids of all ages welcome until 7pm. 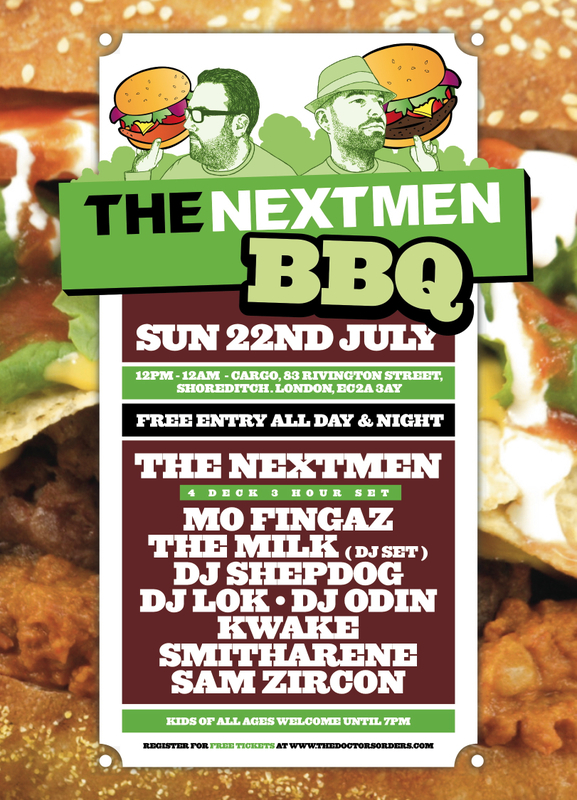 DJs include The Nextmen, The Milk (Exclusive DJ Set), Mo Fingaz (Main Squeeze), Shepdog (Nice Up! ), DJ Lok, DJ Odin, Kwake, Smitharene & Sam Zircon. 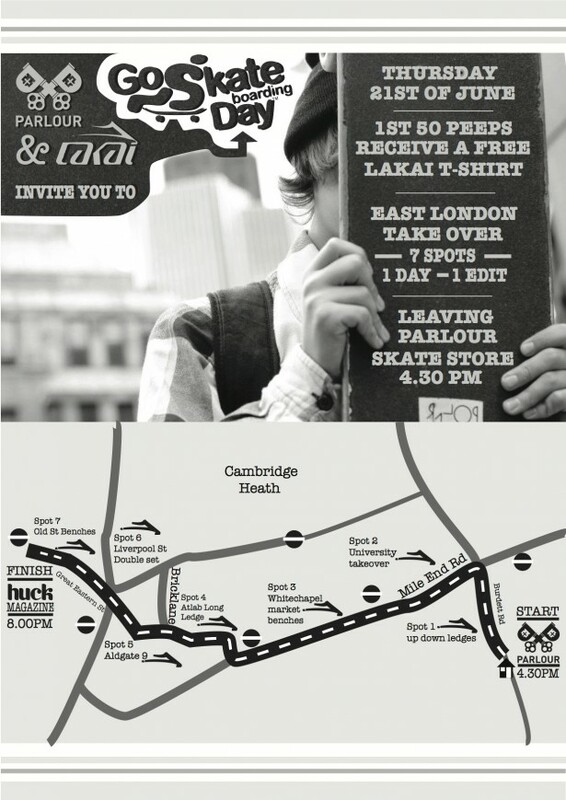 Parlour Skateshop have hooked up with Lakai Shoes this Thursday 21st June for a cruise across London to support Go Skateboarding Day. The street sesh will include hitting up 7 spots that start at Mile End and finish at Old Street kicking off at 4.30pm. The first 50 people will receive FREE Lakai tees. How can you miss this? Being huge fans of sample sales, we are proud to announce that we have partnered with Sampled this week for their forthcoming get together. On Saturday 26th and 27th May, the sample sale to end all sample sales will be live and direct from Bar Music Hall in East London packed full of goodness so get hyped on what’s about to hit London this month. 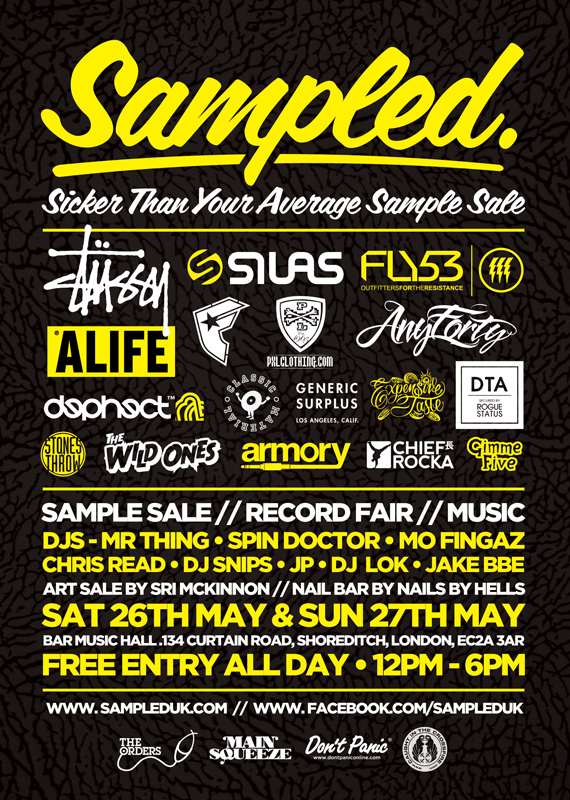 Sampled is not just a bunch of clothes thrown in the corner for you to rummage through, it combines a top quality streetwear sample sale with a record fair and a solo art sale. Expect some of the best clothing brands at a fraction of shop prices, sat alongside many of the UK’s best record dealers selling crates of vinyl, DJ sets with a selection of original Soul, Jazz, Funk, Disco & Hip Hop breaks. There will also be a nail bar for the ladies set up. Samples of the best threads are up for grabs from brands such as Stussy, Alife, Silas, Fly 53, Famous Stars & Straps, DTA, Dephect , Generic Surplus, Good Enough, Rogue Status, Expensive Taste, The Wild Ones, Any Forty, PXL, Armory, Stones Throw, & Chief Rocka. 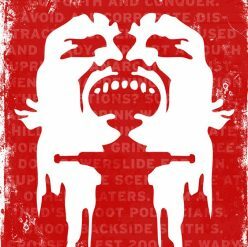 Also expect art dealers and collectives representing some of the most sought after artists in the land. Put the weekend of 26th and 27th May in your diary for this and expect a day out with a happy ending. 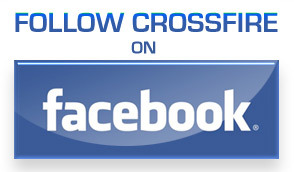 You can find Sampled on Facebook and Twitter who will be updating what’s being planned in the lead up to the event. Please share this for us today to spread the word and we will see you down there. Sampled will be held at the Bar Music Hall, 134 Curtain Rd, Shoreditch, London, EC2A 3AR. We’re big fans of limited tees here at Crossfire so imagine our delight and surprise when we were given two super limited t-shirts to wear and review from the creative mind behind Mrs Wilberforce. Hand printed in East London by none other than the lovely Stu at Lovenskate, the aptly titled ‘Tee Number Two‘ (it’s their second t-shirt design) that I’m currently wearing is just one of ten available in white. 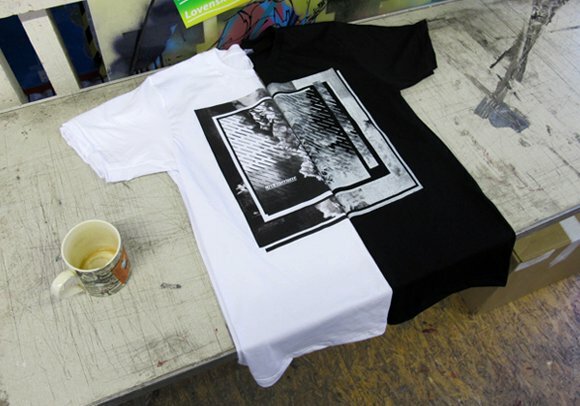 The tee you see on the right is one of ten available in black. This simple, homemade and ‘keeping it local’ ethic is evident in all things Wilberforce: keeping things super limited, using high quality material (standard American Apparel crew neck) with unique (and rad) designs while ensuring that they’re affordable to all those on a shoestring belt-wearing budget… so you know, everyone in East London. That includes me. His attention to detail in the shirt design is sublime. 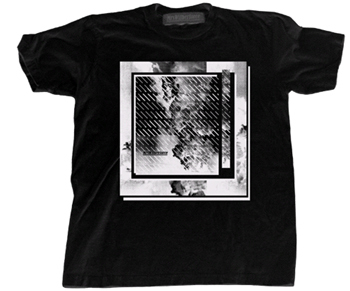 Not dissimilar from the dystopian symbols of early Palace artwork, the tee utilises a photo of industrial smog perfectly positioned within a sharp, off-kilter square frame that makes great use of inverted colours… a long way away from the squashed penny drawings of Tee Number One (featuring the Mrs Wilberforce Logo) but it is still something very much in continuation with the Mrs Wilberforce brand, even in the early stages. I love it. Mrs Wilberforce have also put their talents to designing skateboard decks (check the awesome cruiser here) and collaborations with bands and filmmakers. As we enter 2011, Mrs Wilberforce is just six months old but on the basis of what we’ve seen so far, we’re absolutely starving for more. You can buy the new tee at the Pioneer New Year Jam this weekend! Go and pick one up before they’re all gone.